Did you know that one US city handles 70% of all credit card, debit card, and loyalty rewards program card transactions for the whole country? And do you know what city it is? That city, Atlanta, GA was the host of the Fintech South conference this week in the new Mercedes Benz Stadium downtown. Atlanta is a huge payments hub and there's lots of fintech activity here too. Fintech South's goal is to showcase the South as the strong area for fintech that it is. Atlanta and Charlotte in particular as hubs for banking and payments mean there's lots of talent here without the costs of San Francisco or Seattle. Ron Suber, the Godfather of Fintech, gave one of the morning keynotes on 'The Golden Age of Fintech'. While I've seen it before, I never tire of hearing Ron speak and his passion and advocacy for the industry. This version was updated with some new information but the message was the same, and still important. Version 1.0 of the Internet Age gave us things like Pets.com, followed by the tech wreck of 2000. That important turning point helped shape the Internet giants we have today like Amazon, Google, and Facebook. Ron's 'Golden Age' told the crowd that version 1.0 of Fintech is done and now we can focus on building the great fintech leaders of the future. They were all pretty interesting but there were a couple of standouts. Atlanta firm Lending Point did a case study in Next Generation Retail & Commerce where they talk about their POS financing solution they do with auto repair company AAMCO. I really enjoyed this session mostly cause I remember when I met San Diego based LoanHero way back in 2015 and they told me about signing up AAMCO as a client for their online point of sale financing program. 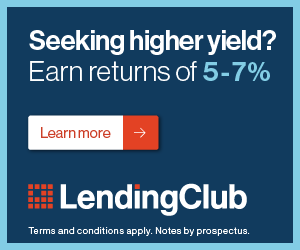 Lending Point acquired LoanHero in January and I wanted to hear about how it was going and what additional options and programs they offer now they are a part of Lending Point. Another standout session was on international payments and e-commerce led by Simon Black of PPro. Did you know that many e-commerce transactions around the world are still paid for with cash? They are and it's an interesting model as well as an opportunity. Oxxo is a Mexican convenience store chain with 14,000 locations. They are the Mexican 7-11. One example of how the model works with cash payments is to partner with a chain like Oxxo. A buyer goes online and goes through the entire buying process like you and I would with one exception. Instead of paying with debit, credit, or Paypal, they choose the Cash or Cash at Oxxo option in their online shopping cart and get a printout of a voucher. This buyer must take that voucher and the cash to the Oxxo store and pay to complete the transaction. If that sounds weird to you, I understand. Many stores, not just stores like Oxxo, are places to pay utility bills or top up cell phone plans so paying through a store is common in parts of Latin America, Africa, and Asia. What an incredible fintech opportunity to take these buyers, who are clearly unbanked or underbanked, and create a service they can use to pay for goods online. Indonesia, the fastest growing country in e-commerce purchases, still uses Cash 18% of the time they buy online. This is a huge opportunity. I live in Atlanta so I see this regularly but the schools here are fantastic at cultivating tech talent. The two largest payment processing companies in the country, First Data & Global Payments, both have their headquarters here along with companies like Kabbage and Groundfloor (one of the platforms covered in my book), who you've seen me mention here in other posts. GA Tech is a real leader with their ATDC business incubator and they have a new fintech innovation lab as well. GA State, a very underrated school, just built a new innovation lab in their Robinson School of Business. Why are innovation labs popular and what are they? Like the Fintech Entrepreneurship & Intrapreneurship track listed above, many enterprise firms are jumping into fintech to solve a specific problem they have in their own business. The innovation lab is the setup they use to give the fintech-ers the room they need to innovate while under the protection and ownership of the enterprise firm. Many of the businesses at Fintech South came out of this type of model as opposed to traditional VC and private equity funding. There's lots of talent already here in the South and Fintech South has done a nice job in helping the region brag on its accomplishments.